a break from our previously scheduled programming since i spent all day at the mall... Julep tomorrow! i also ordered the March 'It Girl' box because i thought i would be receiving it automatically, not realizing that my regular boxes will start up with the April box. China Glaze Flying Dragon (Neon) is a warm purple neon cream... with purple and blue micro glitter thrown in. i really like this polish, it's super unusual! the name is bizarre to me, when i think dragons, i think green. i suppose there could be some purple flying dragons wandering around out there, though :) this polish was SO close to only needing two coats, but it definitely had to have the third coat to completely cover up the slight patchiness. it was much easier to apply than China Glaze Celtic Sun (Neon), which wanted to be super streaky. the polish dries completely matte, but the micro glitter particles are visible when you look closely. 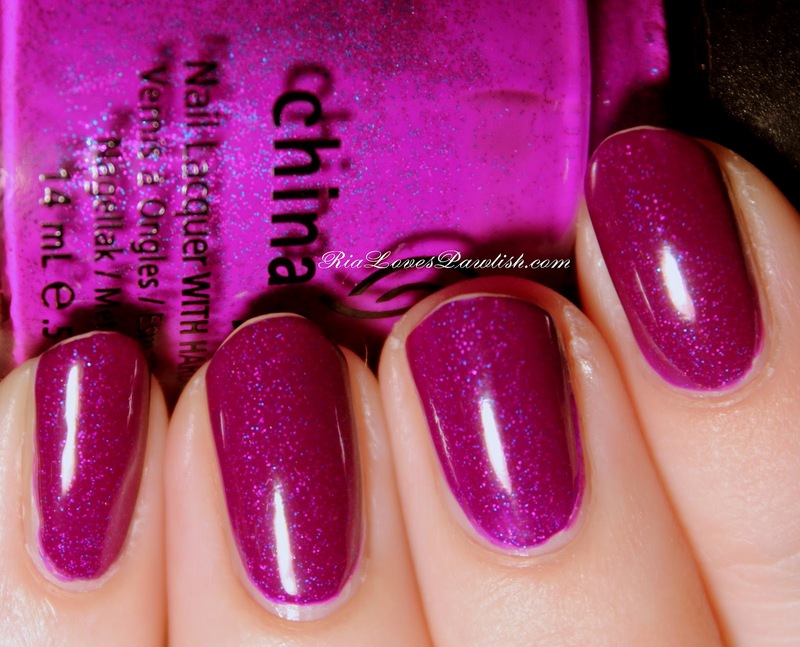 one coat Seche Base, three coats Flying Dragon. two coats Seche Vite added over original manicure.